By Susan Stern Omaha, NE — Website surveys can be fun and timely. That said, it is college survey 101, that this quick polling method is unbinding & unscientific. Nothing at all can be extrapolated from the “results” unless the poll is conducted by a reputable marketing research firm. In fact, many quick website poll “findings” tell us solely about the opinions of those who participated, which is likely, heavily skewed. Accuracy in polling requires a random sample among other key factors. Hypothetically, let’s put it this way: Let’s say a Democrat-leaning website runs a home page survey asking users if they support President Obama’s Affordable Care Act. Regular site visitor Mary Sue might contact all her like-minded pals encouraging them to vote said way on the site they might frequent. Conclusion: these poll “results” do not produce a random survey sample. Slate.com has an article entitled “Why Online Polls are Bunk” here. It should be noted, however, not all online polling is unreliable. Google Consumer Surveys ranked #2 for accuracy in its final survey for the 2012 Presidential Election, compared to traditional surveying methods: live person and robo-dial. “Google Consumer Surveys appears to be gaining credibility for its polling reliability. Marketers might want to consider using this product. What’s helpful is that you can call a live Google representative for guidance, as well,” notes Susan Stern, owner of Stern PR, an Omaha Marketing firm. For more information on Google Consumer Surveys please read “Which Polls Fared Best & Worst in the 2012 Presidential Election’ by NYTimes writer Nate Silver. Inquiries? 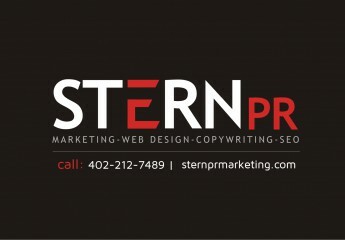 For Omaha Marketing Research, please contact Consultant Susan Stern here.